Younger Republicans are less supportive of Israel, poll finds The Jerusalem PostThe survey showed that Republicans over the age of 65 are the only age group in which a majority (57%) have a favorable view of the Israeli government. Israeli hospitals admit to segregating maternity wards on request Haaretz'The purpose of their stay is not to create an artificial melting pot' of Jewish and Arab mothers, health organization tells court. Israeli navy concludes trilateral Nobel Dina exercise The Jerusalem PostNobel Dina 2019 saw seamen simulate defending a port against a threat posed by submarines in Israel's Haifa port. For Israeli cancer patients, bureaucracy prolongs diagnosis and treatment Haaretz'A cancer patient with an active illness sees an oncologist once every other month for 15 minutes,' Ichilov Hospital oncology says. Israeli army razes West Bank home of slain Palestinian attacker Al Jazeera EnglishOmar Abu Laila, 19, was killed last month two days after he was suspected of carrying out a stabbing attack. This page will be updated more often !! Send us your photos or videos: LEAVE A REPLY ! The rescue of the Danish Jews occurred during Nazi Germany’s occupation of Denmark during World War II. 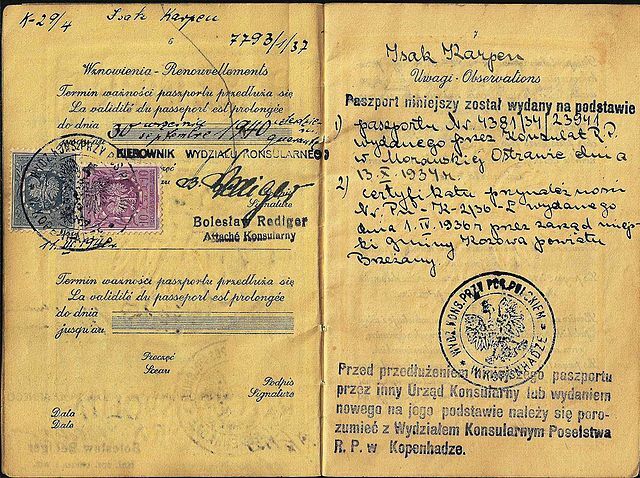 On October 1, 1943, Nazi leader Adolf Hitler ordered Danish Jews to be arrested and deported. Despite great personal risk, the Danish resistance movement, with the assistance of many ordinary Danish citizens, managed to evacuate 7,220 of Denmark’s 7,800Jews, plus 686 non-Jewish spouses, by sea to nearby neutral Sweden. 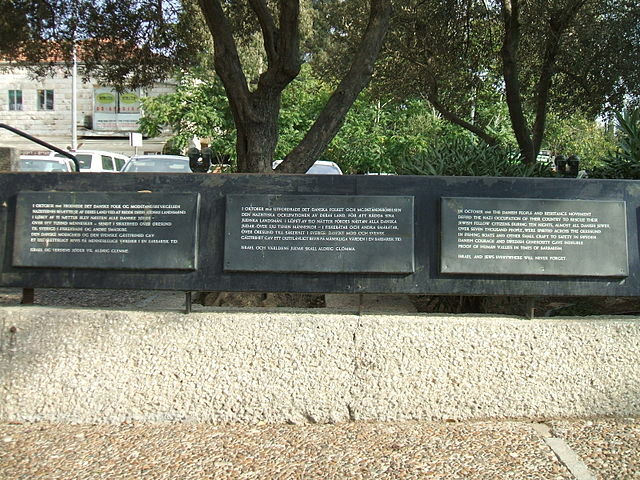 Memorial in Denmark Square, Jerusalem. Text in Danish, Swedish and English. From Wikipedia The Jewish community of Denmark constitutes a small minority within Danish society. The community’s population peaked prior tothe Holocaust at which time the Danish resistance movement (with the assistance of many ordinary Danish citizens) took part in a collective effort to evacuate about 8,000 Jews and their families from Denmark by sea to nearby neutral Sweden, an act which ensured the safety of almost all the Danish Jews. 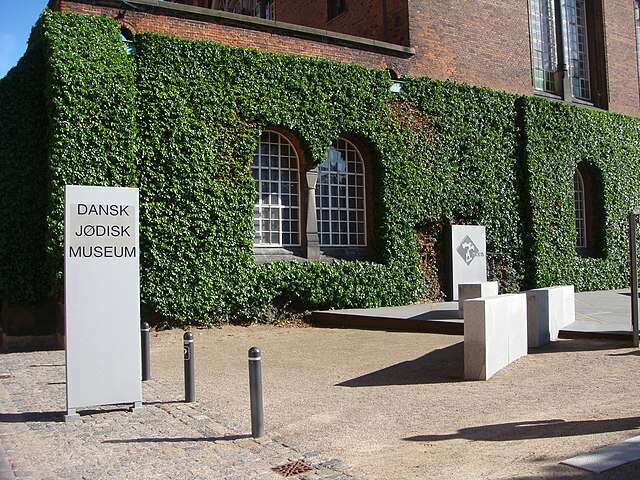 The Danish Jewish Museum (Danish: Dansk Jødisk Museum), in Copenhagen, Denmark, sits inside the Danish Royal Library’s old Galley House and exhibits Danish Jewish historical artifacts and art. Designed by world-renowned architect Daniel Libeskind, the building memorializes the story of Danish Jews who were saved from Nazi persecution by their fellow Danes in October 1943. Construction of the Museum began in March 2003 and the museum opened in June 2004.At the turn of the seventeenth century, King Christian IV built Denmark’s Royal Boat House, which was later renovated in 1906, during the construction of the adjacent Royal Library. 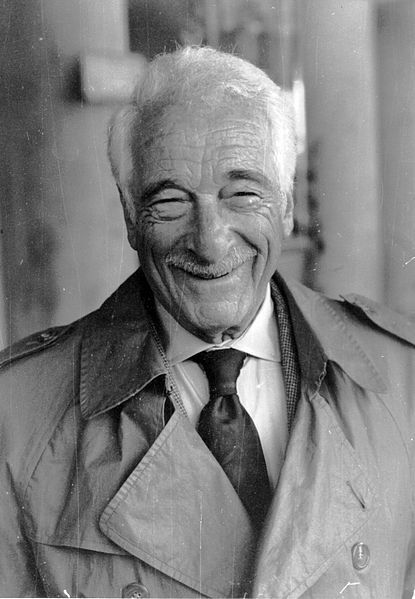 In 1985, the Society for Danish Jewish History decided to establish a museum in Copenhagen dedicated to its namesake. It wasn’t until the 1990s, however, that the organization met with Daniel Libeskind and the Royal Library site underwent another transformation. 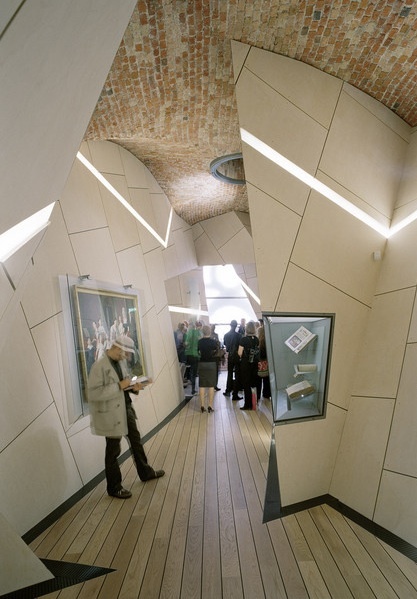 The renovation of the Boat House, executed by Fogh & Følner architects, began in July 2002, and construction of the Danish Jewish Museum ended in September 2003. In June 2004, the museum opened. Prime Minister Benjamin Netanyahu has responded to this weekend’s deadly synagogue shooting in Copenhagen by urging European Jews to emigrate to Israel. גל הטרור באירופה בעיצומו – הלילה הוא הגיע לקופנהאגן, בירת דנמרק. המטרה הראשונה היתה אירוע שבו השתתף אומן שצייר קריקטורה של מוחמד, השנייה היתה בית הכנסת. שני הרוגים, המשטרה חיסלה את היורה וכמו במקרים דומים – הוא היה מוכר לשירותי המודיעין. נתחיל בדווחו של עורך חדשות החוץ אורן נהרי. מקופנהגן מדווח שליח רשות השידור, יגאל רום. ובאולפן מוסיף אורן נהרי פרטים חדשים שנודעו, כולל זהותו של היורה. הרב מיכאל מלכיור, שר לשעבר, יליד דנמרק, בן לרב הראשי לדנמרק וגם בנו – הרב הראשי בדנמרק. הוא מתאר הלם בקהילה – אך למעשה, אין הפתעה, והקהילה הייתה ערוכה מבחינה אבטחתית לאירוע שכזה, וכך נמנע אסון גדול יותר. עם זה, לדבריו אין זה סופה של הרב-תרבותיות באירופה. While in Copenhagen, Ambassador Ahmed and Dr. Amineh Hoti visited Rabbi Bent Melchior, the former Chief Rabbi of Denmark, at his home in order to discuss the Danish Jewish community. Rabbi Melchior is descended from a long line of rabbis and became Chief Rabbi of Denmark in 1969, succeeding his father who served as Chief Rabbi from 1947 to 1969. Rabbi Melchior has been very involved in bringing the different faith communities together both in Denmark and internationally. Since 1999, he has been Honorary Life President of B’nai B’rith Europe as well as being involved in numerous other international organizations. During the interview, Rabbi Melchior discussed the history of the Jewish community in Denmark, his experiences in World War 2 during which the Danish people saved the vast majority of the Jewish population from the Nazi concentration camps, the lessons the Jewish community learned in integrating in Denmark, and what he sees as the essence of Judaism. People laid flowers outside the Copenhagen synagogue on Sunday (February 15) where a shooting killed one person and wounded two police officers. Danish officials say they’re alarmed by the frequency of anti semitic attacks. The rise in physical and verbal assaults in Denmark is in line with claims by Jewish communities that anti semitism is on the rise throughout Europe. At a forum staged by Copenhagen City Council, Danish Jews urged the authorities to take action. 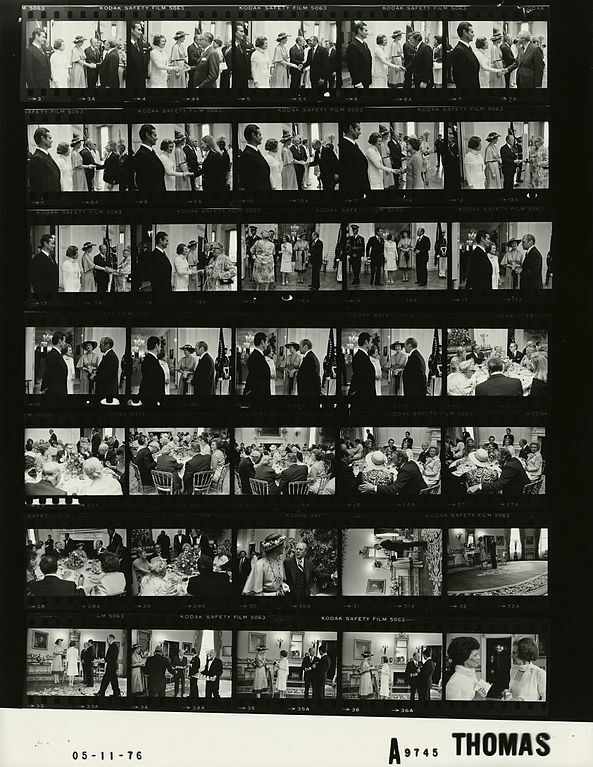 The photo contact sheet, identified as A9745 by the White House Photographic Office (WHPO), is housed at the Gerald R. Ford Presidential Library, a branch of the National Archives and Records Administration (NARA). In this inaugural Ambassador Edward E. and Susie Elson Lecture, Danish historian, journalist, and former diplomat Bo Lidegaard, author of Countrymen (Knopf, 2013), discusses the extraordinary story of how Denmark saved its Jews from the Nazis in World War II. With his access to diaries, letters, and family accounts, Lidegaard focuses on how, in 1943, the Danish king, his ministers, and Parliament agreed that no one in Denmark would aid the Nazis in rounding up the 7,000 Danish Jews for deportation and certain death. Over the two-week period of September 26 to October 9, 1943, 6,500 out of the 7,000 Jews escaped to Sweden, having been assisted, hidden, and protected by their fellow countrymen. The Ambassador Edward E. Elson and Susie Elson Lecture series was created by Edward E. Elson (U.S. Ambassador to Denmark, 1993–1998) to recognize outstanding achievement in the fields of the arts, literature, education, or public service by Danes or Danish Americans. Bo Lidegaard is the editor-in-chief of the leading Danish newspaper Politiken and the author of several books on modern history. He served as a diplomat in the Danish Foreign Service before joining the Office of the Danish Prime Minister as Ambassador and Permanent Undersecretary of State tasked with responsibilities corresponding to those of National Security Advisor. Lidegaard later led the team preparing the 2009 United Nations conference on climate change in Copenhagen. 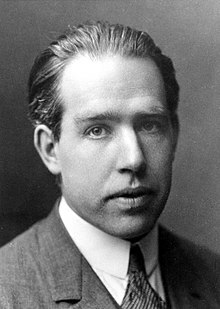 He is one of the most respected and widely read Danish historians, and his work has focused on U.S.-Danish relations in the twentieth century, as well as on the modern Danish welfare state. Lidegaard lives in Copenhagen. A controversial book, written by Peter Tudvad, about Kierkegaard as an anti-Semite was recently published; Andersen’s pro-Semitic stances are well-documented. Prof. Houe will use these two towering authors as points from which to overview the landscape of pro- and anti-Semitic sentiments in Danish/Nordic 19th century culture and society more broadly, and even to extend the perspective into contemporary culture, where the debate around Tudvad’s book has been especially revealing. Poul Houe is a professor of Scandinavian languages and literature at the University of Minnesota whose research focuses on 19th and 20th century Scandinavian literature and culture, specifically travel and exile literature in the context of modern European humanism. His work has explored transnational issues and questions of cultural transformation, and his many books include a collection of essays on Hans Christian Andersen and two co-edited volumes on Søren Kierkegaard. An interview with Mogens Skjolt about how, as a teenager, he joined the Danish resistance against the Nazi occupation of Denmark, what he did in the Resistance, the liberation of Denmark and the aftermath of the war. one occupied country in Europe did more than any other to protect Jews – Denmark. The Germans had first occupied Denmark in 1940 but it was only now, in August 1943, after Danish resistance had increased, that they imposed full military rule. Now German brutality was practiced in the open and the Danish Jews were hugely at risk. ד”ר דן כצנלסון מתאר את המחקר שעשה בנושא תפקידם של הרופאים בהצלת יהודי דנמרק במלחמת העולם השניה. Dr. Danny Kaznelson describes the research he has done on the role of doctors in saving the Jews of Denmark in WWII. This entry was posted in 24JEWISH The Theme, Le Thème and tagged Denmark, el tema, Le Thème, The Jews in Denmark, The Theme. Bookmark the permalink.